Agger was once linked with a move to Barcelona and Liverpool had to resist any attempt to sell the player. Since his departure from the club, Liverpool have struggled with a leaky back four and the manager Jurgen Klopp has splashed out heavily on Virgil van Dijk in order to arrest the club’s poor defensive record. The Southampton defender came to the Premier League couple of years ago from Celtic for around £ 13 million, but the South Coast outfit have once again demonstrated the incredible profit-making ability of their scouting system. Virgil van Dijk was expected to join Liverpool in a £ 60 million deal back in the summer. Even then, it would have been a world record transfer fee for a defender, which stood at £ 50 million as recently as January. Southampton refused to budge in the summer and Liverpool have had to step up their offer to £ 75 million in order to get their man – but he is worth every penny if he manages to get them Champions League football again next season. Henk Veldmate is the technical director at Groningen and he has seen Virgil van Dijk from a young age. “Everything is a surprise. Sometimes you think, because you’re long in the business, that you know what could happen. You cannot pronounce anything about this. For sure, I think he had the possibility and potential to reach a very high level, but the amount of money is sometimes not realistic. He could take things a little too easy sometimes. That’s something in his system,” said Veldmate after the 26-year-old’s record-breaking move to Anfield. 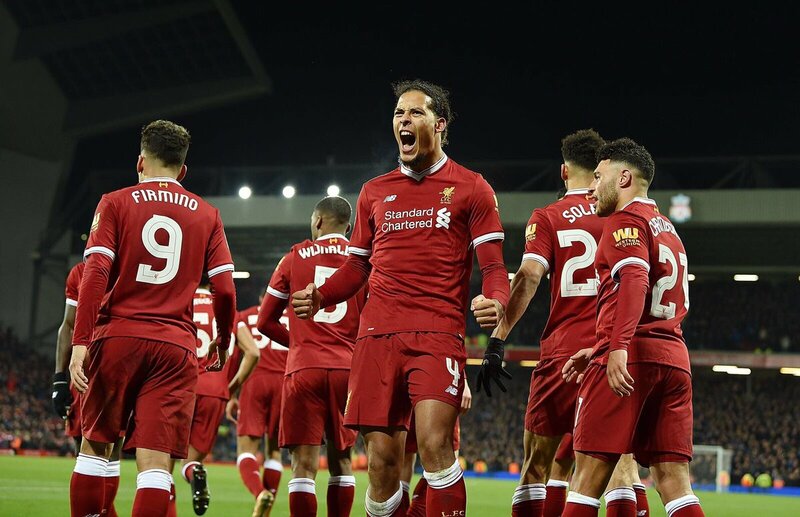 Whilst Van Dijk may have raised a few eye-brows with his price tag, his performances have been brilliant since – with scoring winning goals against city rivals Everton only adding to his value for the club. With him in the centre of defence, Liverpool now enter most matches – even those against the Top Six clubs like Manchester United and Arsenal – at evens to keep a clean sheet. Pre-Van Dijk they would have been 2 or maybe even 3/1 to do so, so he is definitely having an impact, which is being recognised by the bookmakers.With Liverpool very much in the hunt for the Champions League Semi Finals, and looking set to secure a top-3 position in the Premier League table, which is also very possible by online bookmakers prediction, Van Dijk may well yet to prove to be a bargain. This entry was posted in Liverpool Fan's Blog and tagged Van Dijk. Bookmark the permalink.